The contact page gives you a birds eye view of everything you know about a contact so that you can keep track of the people, companies and other organizations that you do business with. Share contacts with co-workers ensuring you all have a single up-to-date view of the contact. 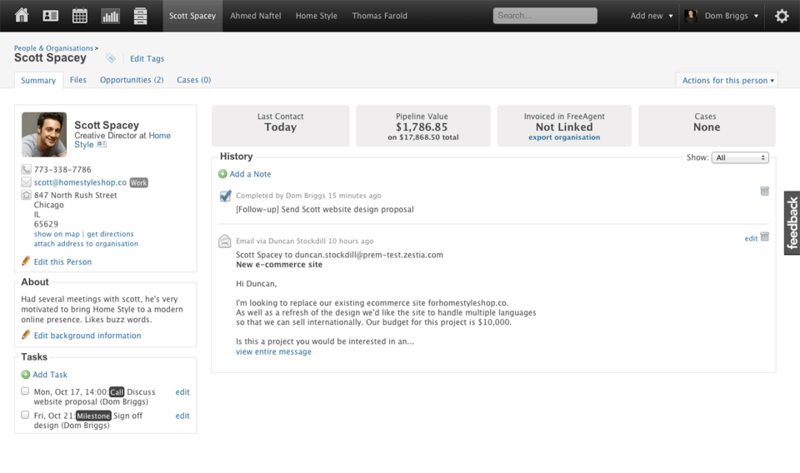 Use Capsule to track bids, deals, proposals and other opportunities. 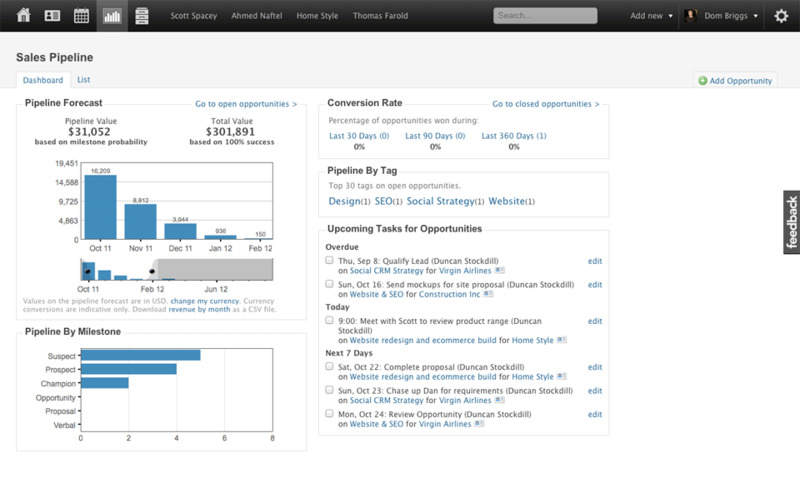 Get a quick summary of opportunities on the go via the sales dashboard including potential values, where they're up to and what needs to be done next. If you have standard processes such as the way you approach each sale configure these as "Tracks" in Capsule to enable the same set of tasks to be followed for each sales opportunity or case. Each task in a track can be linked to the previous task. For example, a "call back" task can be set due 5 days after an "initial call" task. 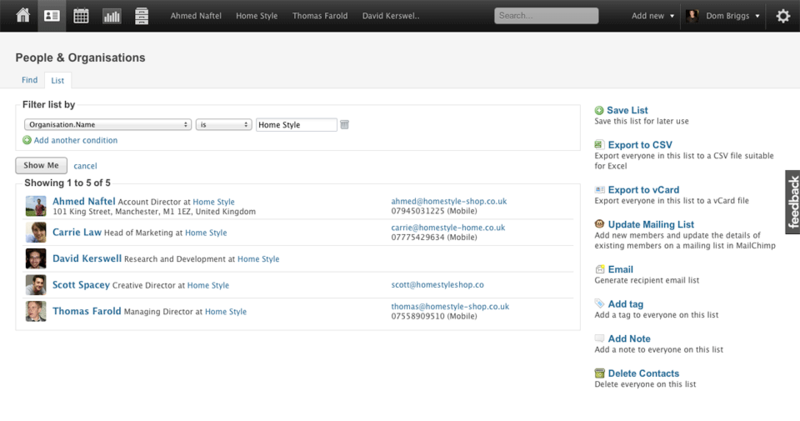 Create custom categories using tags such as vendor, lead, customer. 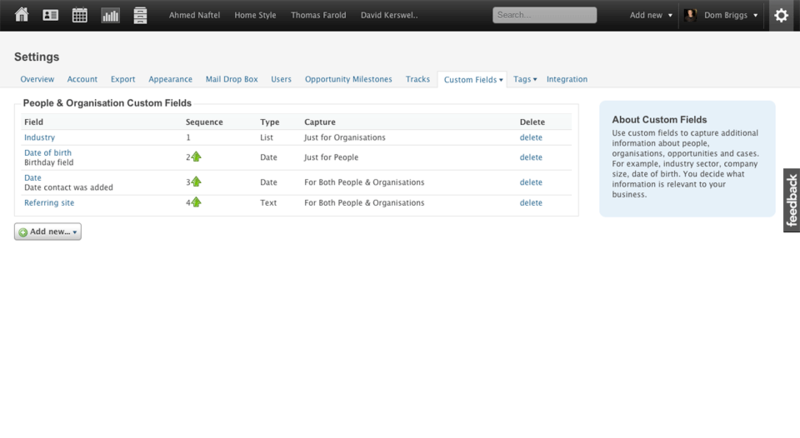 Use "Tracks" to create standard processes for opportunities and cases. Create lists by filtering your contacts using your own criteria such as which city they're in, how you've tagged them, when they were added, or using a custom field you have added. It's up to you how you use the list. For example, use it to send an email to everyone on the list. Export it for use another system. Apply a tag to sub-categorize contacts. Lists can be saved so they're easily available when needed again. Use Capsule on your iPhone, Android and Blackberry. Capsule connects with other popular web applications to get more done such as create great looking sales proposals, invoice customers for the work you do, send and track the results of a newsletters and more. 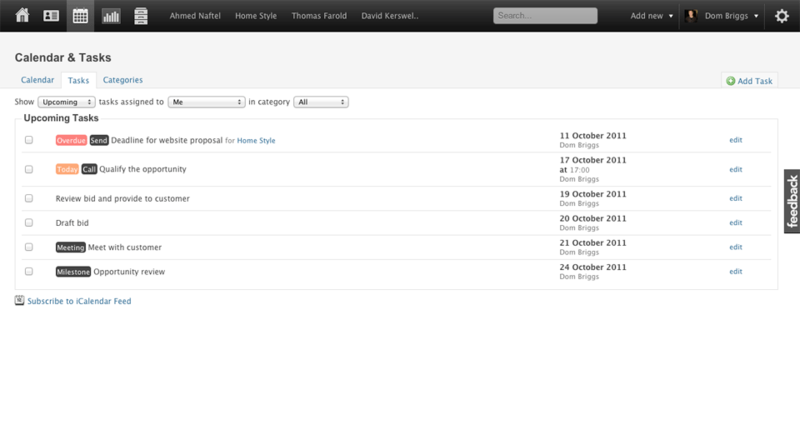 Capsule also integrates with Google Apps.